High-throughput lipid identification is a bottle-neck of current lipidomic analysis. 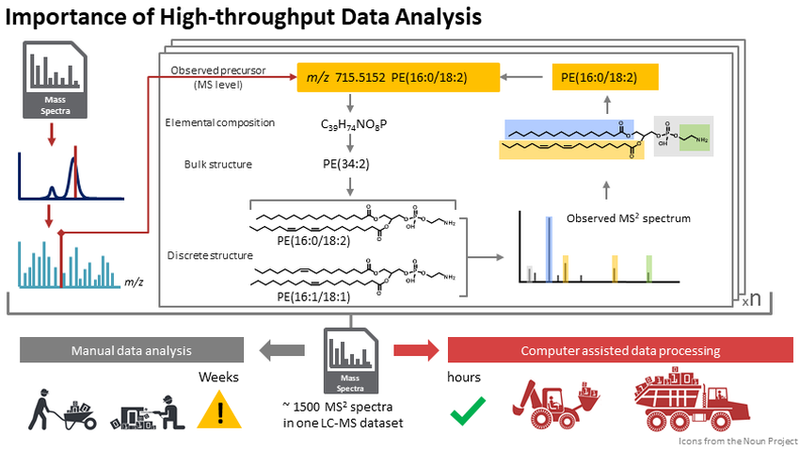 Efficient software solutions capable to provide precise and accurate identification from large mass spectrometry based lipidomics data can largely accelerate the data processing process. 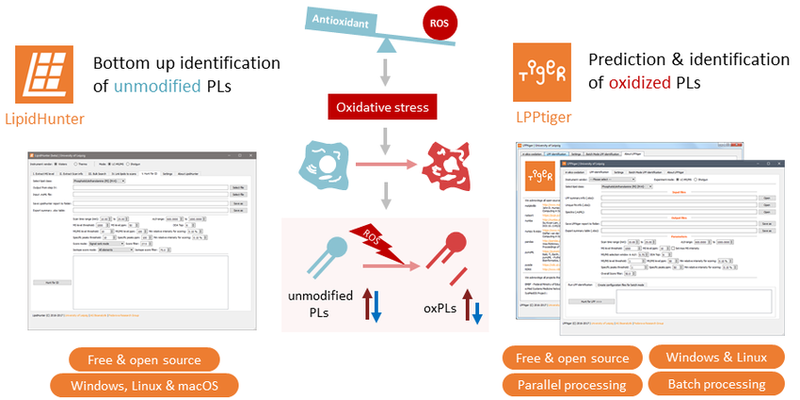 Within SysMedOS project we have developed three software tools for the high-throughput data analysis for both native and oxidized phospholipids.